Are you a senior who's thinking of filing for divorce? There's a calmer, cheaper way to split from your spouse in your sunset years. It's no secret that baby boomers and older — Americans well into their 80s — are divorcing late in life, a phenomenon known as "gray divorce." Licensed marriage and family therapist Nancy Cooper of Havertown. What's new are lower-cost options. There's a less costly way to divorce now — such as mediation or collaborative divorce — and workshops are springing up around Greater Philadelphia. Collaborative divorce professionals hold seminars locally called Second Saturdays, where seniors — or those approaching retirement — can learn how to split up in a dignified way and avoid the expense of divorce attorneys and the court system. 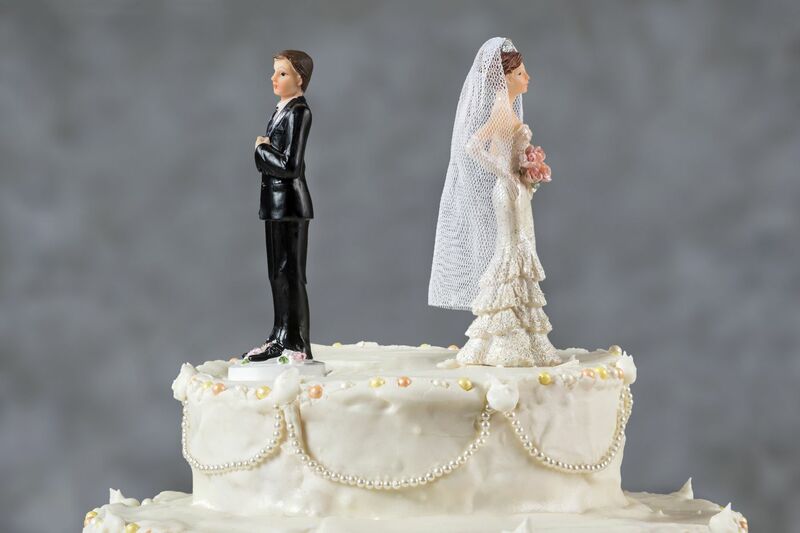 "Women think they can't leave the marriage financially until they come here and find out that it's possible later in life," said collaborative divorce specialist Jean Biesecker of Bala Cynwyd. For many seeking divorce, she said, the issues in the marriage are long-standing, but unaddressed. "What was overlooked? The relationship. The connection. It was work, making money, the kids, the vacations, the house at the Shore," she said. "There's resentment that won't go away." Divorces in courts can drag on for years, while collaborative divorces and mediations can resolve in a year or less. To get started researching collaborative divorce, visit the website: GoCollaborativePa.com. On the second Saturday of the month, Biesecker said, "we present alternatives to court, and people feel relief and empowered. We run the gamut of people. Some women come who are already litigating and have attorneys. But they feel like they don't know what's going on — which is shocking to me." Many seniors "are terrified of having to go in front of anyone and tell their story. They hear from work colleagues, family, and friends about divorce experiences where they are bankrupted through the court system. Or sometimes they want to continue parenting together and not have just curbside pickup with the kids. They don't want that." Collaborative divorce works like this: all parties sign a 'participation agreement,' the splitting spouses as well as the professionals such as mediator, financial adviser, and therapist. If either divorcing person decides instead to use the court to resolve any issue, professionals must step away. "Why is that? We are very transparent. The financial, mental health, and therapists all share information very openly. If we were to go to trial, we have more information that we wouldn't have known." Biesecker said. But happily, "over 90 percent of cases who come to us resolve with us." In cases where the professionals do withdraw, the divorcing parties must pick new lawyers. That way, none of the information shared earlier becomes courtroom fodder. Who chooses collaborative divorce? Those who realize divorce is primarily a financial transaction. Litigated divorces can cost upward of $50,000 to $75,000, while collaborative divorces range generally between $10,000 and $25,000. Jean Biesecker, an attorney trained in collaborative divorce. Nancy Cooper, a licensed marriage and family therapist, agrees that collaborative divorce works when both spouses sign a "participation agreement" and put together a team — a financial specialist, communications coach, and mental-health professionals, especially if they want to maintain ties with each other and their adult children. "We work very much on hurdles in communication to get past old hurts. Our mental health people aren't there to dive into how you got here, but, here's where you are now, given the way you present to each other, how can I get you to the end of this?" Cooper said. With collaborative divorce, it's important to choose licensed professionals such as those with ties to a state bar association, licensed social workers, and licensed marriage and family therapists, as well as CPAs and CDFAs, or Certified Divorce Financial Analysts. Within her practice group, Cooper sees more clients in their mid-60s, 70s, and even 80s divorcing. In 2015, for every 1,000 married people ages 50 and older, 10 are divorced — up from five in 1990, according to data from the National Center for Health Statistics and U.S. Census Bureau. Among those ages 65 and older, the divorce rate has roughly tripled since 1990, reaching six people per 1,000 married people in 2015, according to the Pew Research Center. "It was unheard of years ago. I'm working with a couple who are 72 and 69. She indicated in the second year of marriage that she knew it wouldn't work, but they were together 38 years. She stayed in it until her children got settled. They're now in their mid- to late 20s. She's financially independent. So is he. Divorce is expensive, they didn't want to go through the hassle. They got close to retirement and they're going to be on fixed incomes," Cooper added. Women who want to research the idea should start online at Wife.org, an organization created in California in 1988. Their motto — "A man is not a financial plan." Second Saturday workshops cover legal, financial, and emotional challenges before and during divorce or just to educate those considering divorce. Attorneys Biesecker and Barbara Zulick recently presented with Michelle Tate, a financial adviser with Boenning & Scattergood, to lay out the differences between court and alternative ways of divorcing. "I just had a client who's 71, and she was inspired by an 85-year-old widow who travels the world. Women aren't satisfied with the status quo. They live life fuller and longer, but women don't realize they have rights. They think their spouse will just take everything. That's not true," said Cooper. "I do have men as clients, but not as much for divorce. Men come for depression or anxiety and at all ages, and many with career issues." More amicable and affordable divorces may be in the future for more Pennsylvanians now that collaborative law, a process long accepted by the legal community, has been recognized and regulated by the state. The Pennsylvania Collaborative Law Act, part of House Bill 1644 sponsored by State Rep. Kate Klunk (R., York), was signed into law by Gov. Wolf on June 28. The new law creates a uniform standard of practice in Pennsylvania for collaborative divorces for the first time. "Collaborative law is an ideal process if both parties want to avoid the courtroom and are interested in an amicable relationship with their former spouse," said Candice Komar, a collaboratively trained attorney and partner of Pittsburgh-based family law firm Pollock Begg Komar Glasser & Vertz. "This process is especially beneficial if there are children born of the marriage. That way the children do not have to stress at graduations, weddings, and births of their own children," Komar said. The next Second Saturdays session takes place July 14 at Bryn Mawr Presbyterian Church, 625 Montgomery Ave., Bryn Mawr. For information about workshops in Pennsylvania and New Jersey, visit the Second Saturdays website: https://www.secondsaturday.com/locations. Workshops in August, October, and December will take place at Boenning & Scattergood, Four Tower Bridge, 200 Barr Harbor Dr., Suite 300, West Conshohocken. Financial planner Tim Seiders will also hold a Second Saturday divorce workshop July 14 and Aug. 11 at Montgomery County Community College's Blue Bell campus, 340 DeKalb Pike. Call 215-699-6993 for information and to register. His seminars also cover divorce alternatives including mediation.